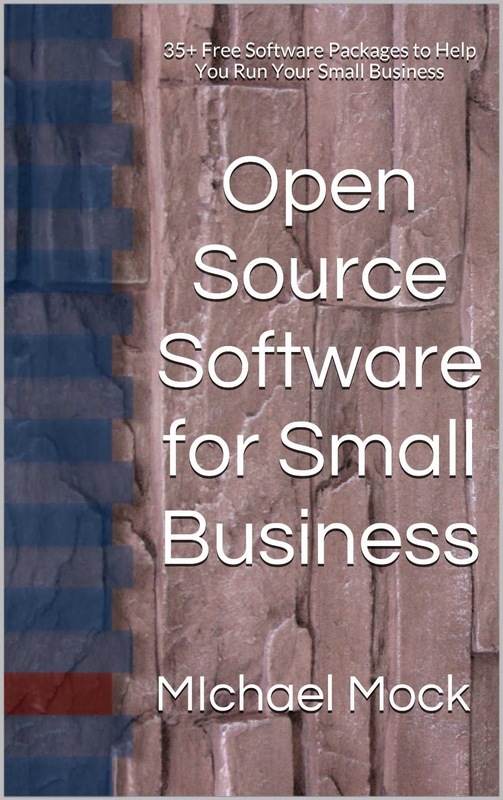 Today's post is a review of a book by Michael Mock called Open Source Software for Small Business. This book is a great reference for small business owners providing them with information on the wide variety of 35+ business applications available for free for accounting, word processing, spreadsheets, operating systems, drawing and flow charts, content management systems and even backup software. Each piece of software is reviewed with details of the various versions and features. This book is available through the Amazon Kindle. If you don't own a Kindle you can still get the Kindle App for your computer for free.